Veterans Day flight over Santa Barbara. 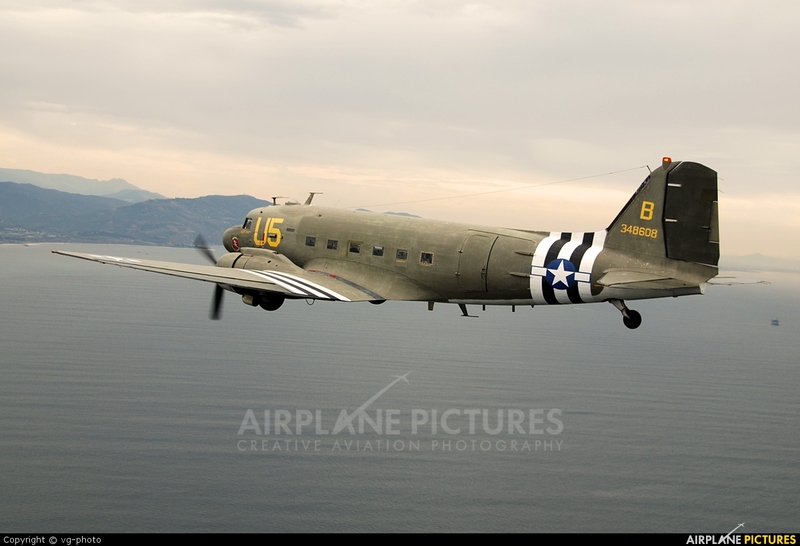 This is a C-47 manufactured in 1943 that served in WWII, the with the Israeli Air Force. It is now part of the Estrella Warbird Museum.